We are saddened to announce that Vincent J. DeSimone, 78, the Founder and Chairman of DeSimone Consulting Engineers, has passed away. 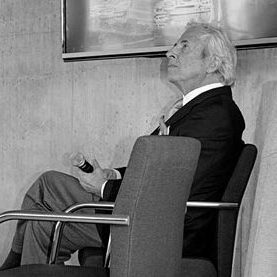 Vincent, who established DeSimone in 1969 and led the firm as senior Principal-in-Charge of design ever since, succumbed to a struggle with cancer on November 16, 2016. True to his life’s calling, Vincent continued to work every day despite his illness to advance his engineering vision. An innovative designer who elegantly combined creativity and efficiency, Vincent was acknowledged for his solutions to complex structural challenges. He has been widely recognized by industry and media for his outstanding contributions to architecture and development. Among Vincent’s many award-winning projects are the Four Seasons Hotel & Tower, Miami (the tallest building in Miami when completed); the Grove at Grand Bay in Miami (the first twisting towers in the U.S.); One Thousand Museum Tower (Zaha Hadid’s first skyscraper in the Western Hemisphere); the Westin Diplomat Hotel in Hollywood, Florida (the largest oceanfront convention hotel in the southeast); the Atlantis in the Bahamas; the Sofitel Hotel in New York, and Mohegan Sun in Uncasville, Connecticut. During the past decades, Vincent dedicated his spare time to the development of manufactured concrete housing as a solution to the critical need for affordable housing in New York. His design for low-cost, pre-cast concrete town homes has been used in more than 120 apartments in the Bronx. Vincent was a life member of the American Society of Civil Engineers and a member and past president of the Concrete Industry Board of New York City. A licensed Professional Engineer in 23 States, he was also a fellow of the American Concrete Institute and a Professor of Structures at Princeton University’s School of Architecture. He graduated from Manhattan College and earned a Bachelor degree in Civil Engineering and an Honorary Doctorate degree.